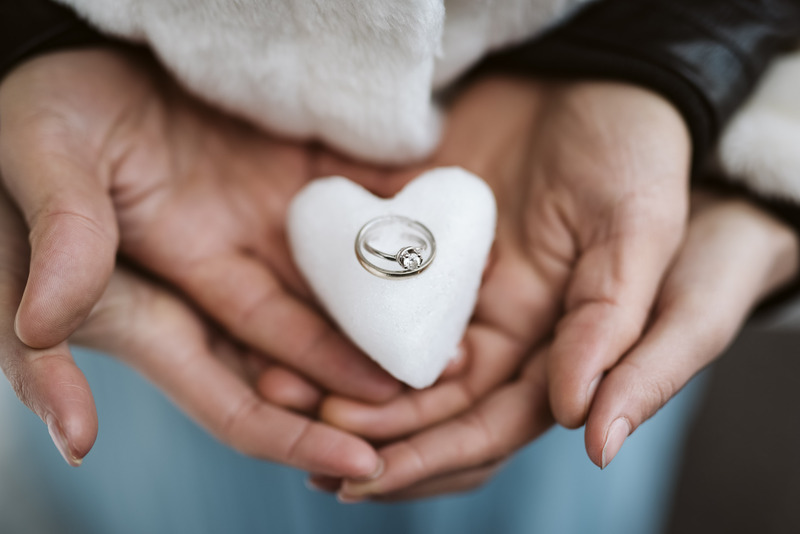 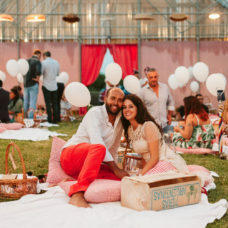 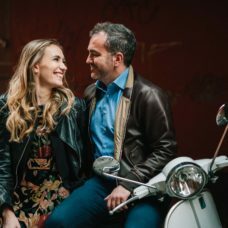 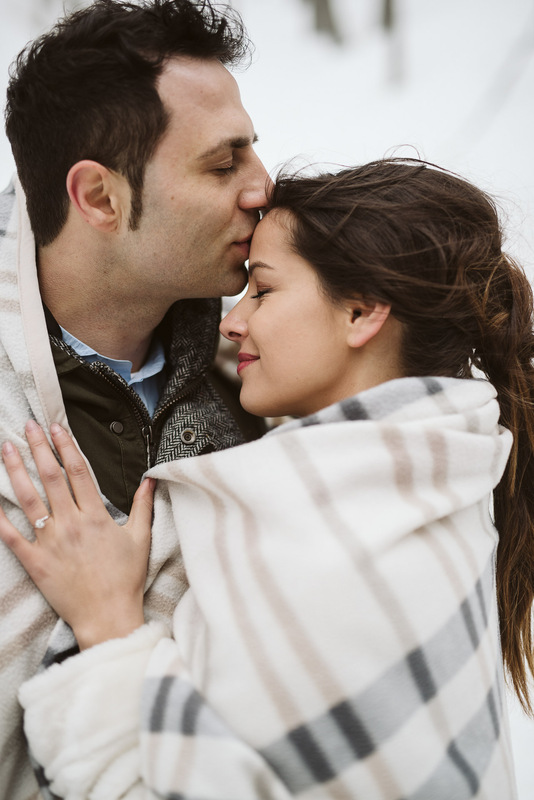 Which is the best season to take an engagement session? 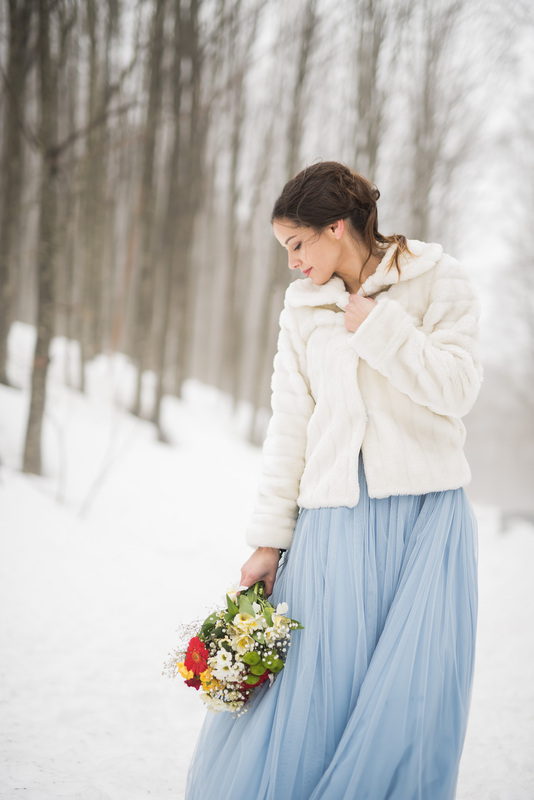 Is it spring? 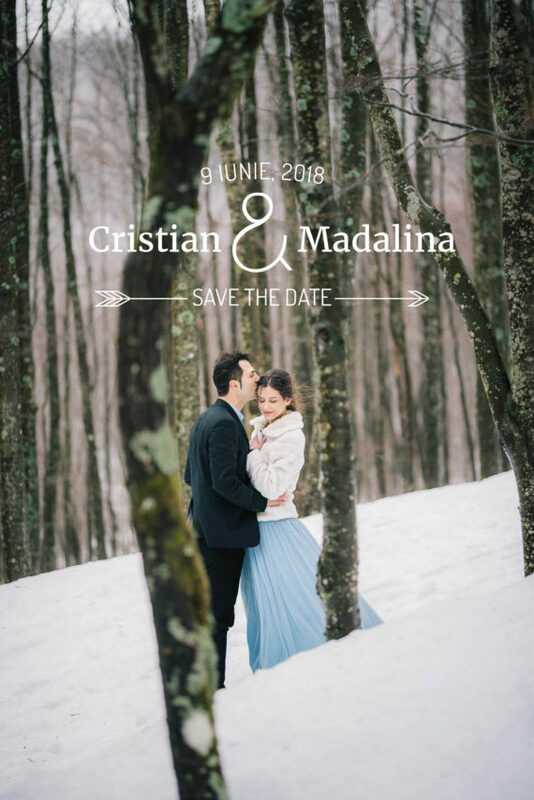 Or maybe autumn? 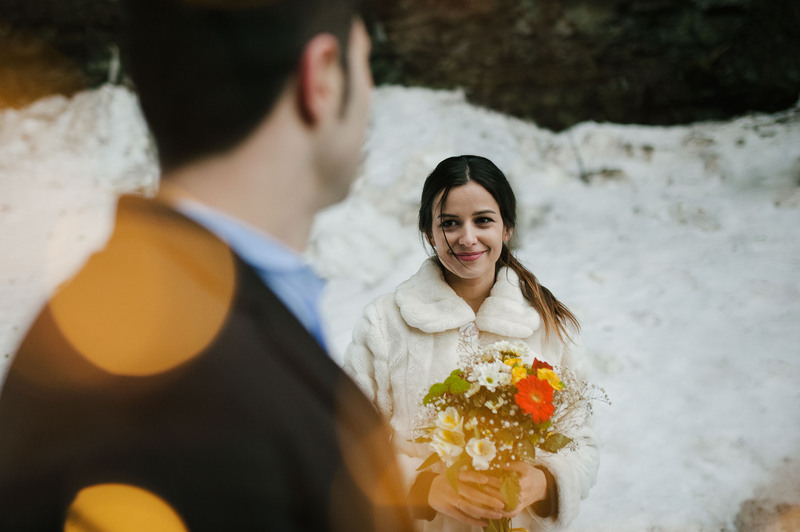 Well, the correct answer is every season! 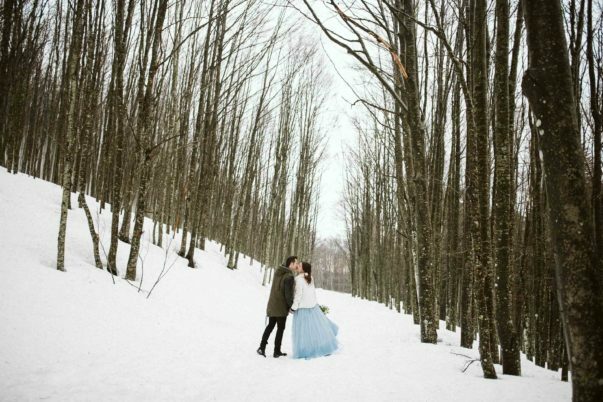 Every time of the year has its beauty and its romantic side. 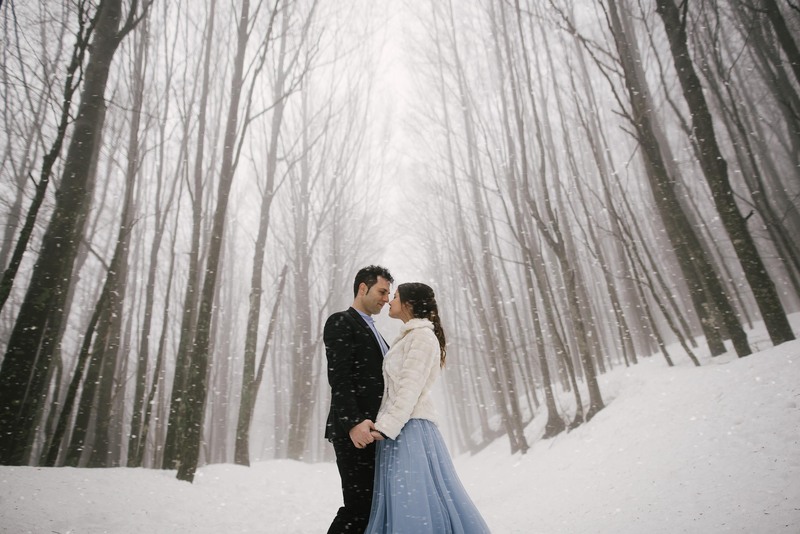 Imagine just how magical an engagement session in the snow can be, with a white blanket covering everything. 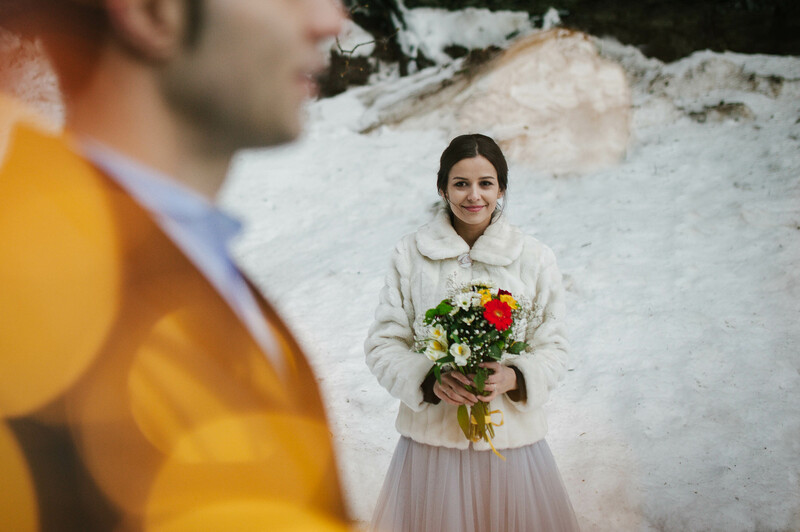 This is a truly poetic and romantic setting for two lovers. That’s why our beautiful Madalina and her lovely Cristian chose a snowy forest for their winter photoshoot. 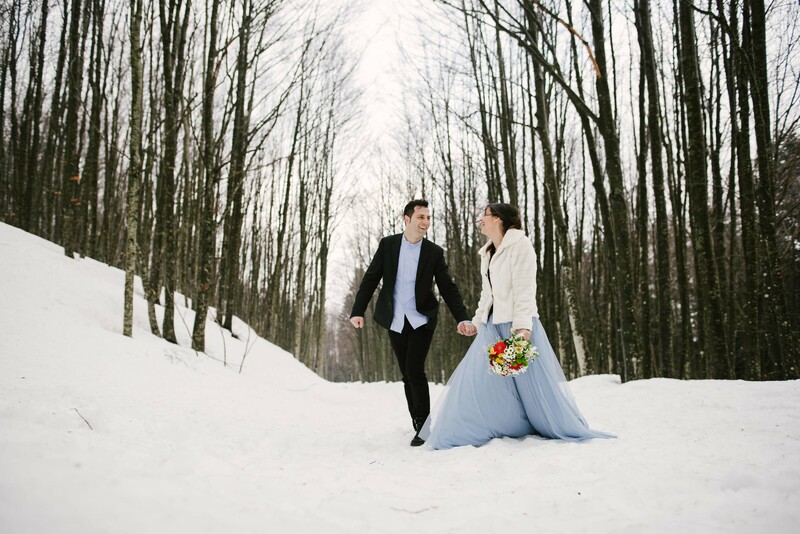 We spent few hours walking through the wood of Campigna, Italy, to take pictures to this amazing couple. 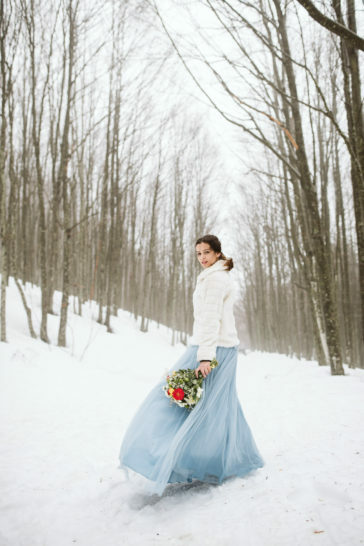 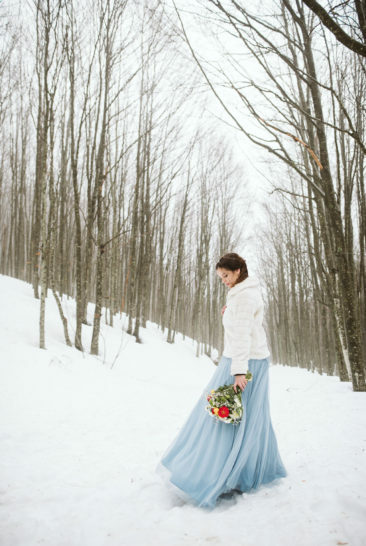 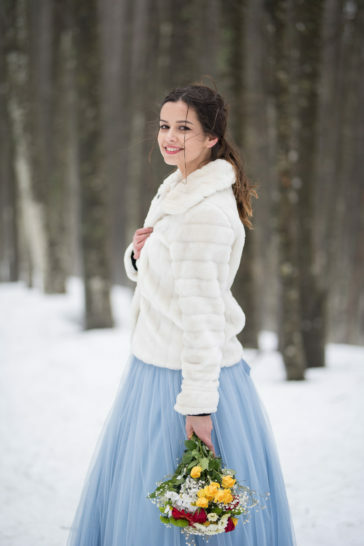 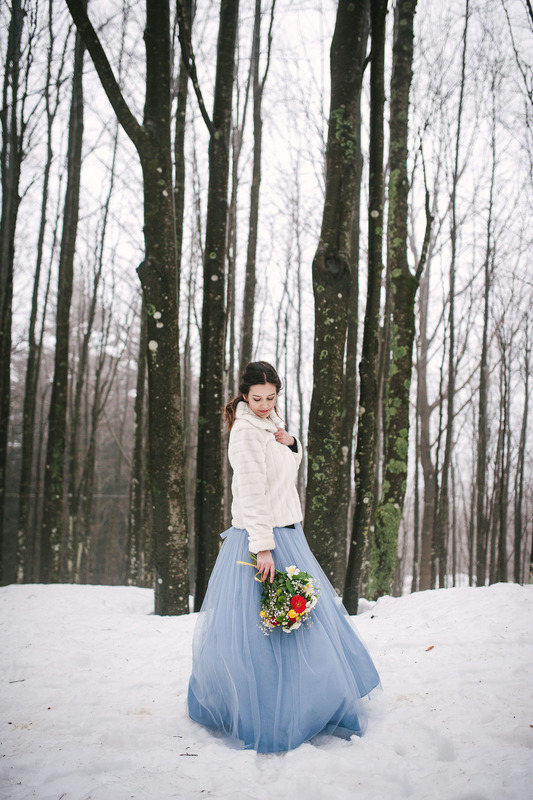 The white landscape, with the forest covered by the snow, creates a fairytale atmosphere, and Madalina, enchanting in her blue dress, really looks like a fairytale princess. 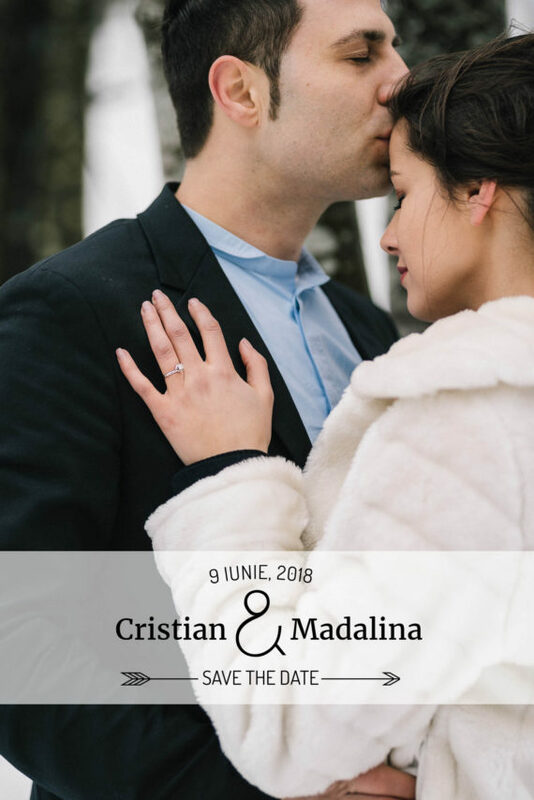 Her charming prince Cristian wears a blue shirt too. 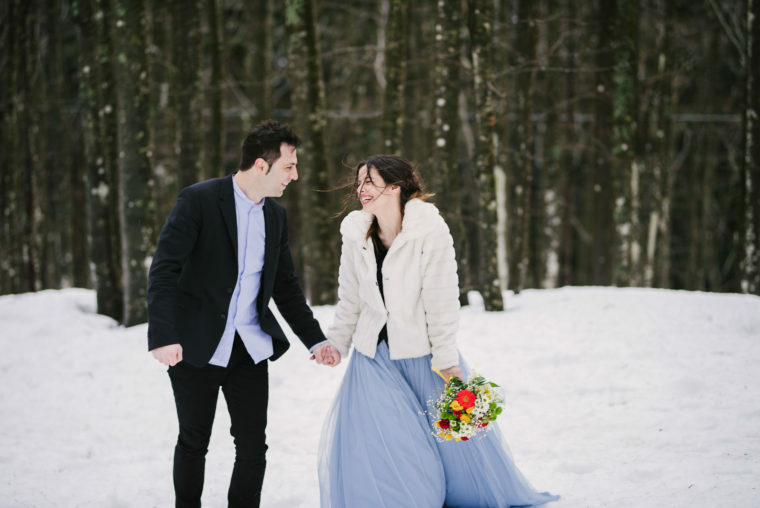 Blue and gold are, in fact, the main colors chosen for their wedding. 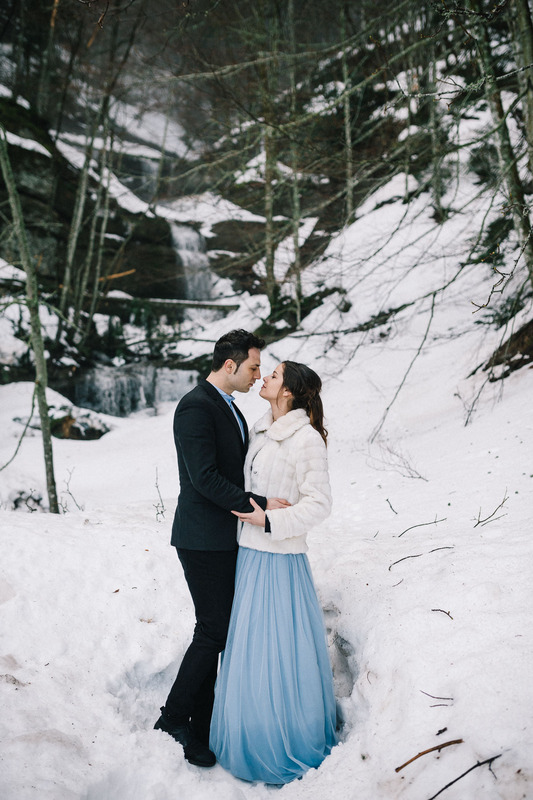 The cold and frozen landscape of these winter engagement photos is perfect to enlight the warm love of this couple. 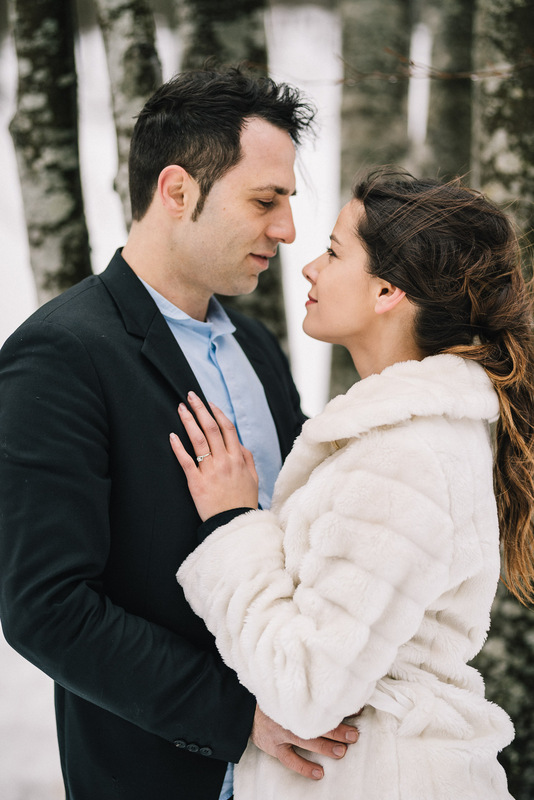 And this is just one of the reasons why Madalina and Cristian chose to have a winter engagement session. 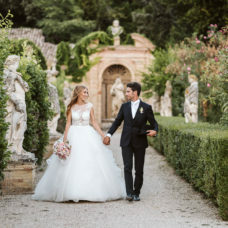 The wedding took place in June in a castle in central Italy, and it was nice for the couple to take photos in two very different seasons, with different colors and a different atmosphere. 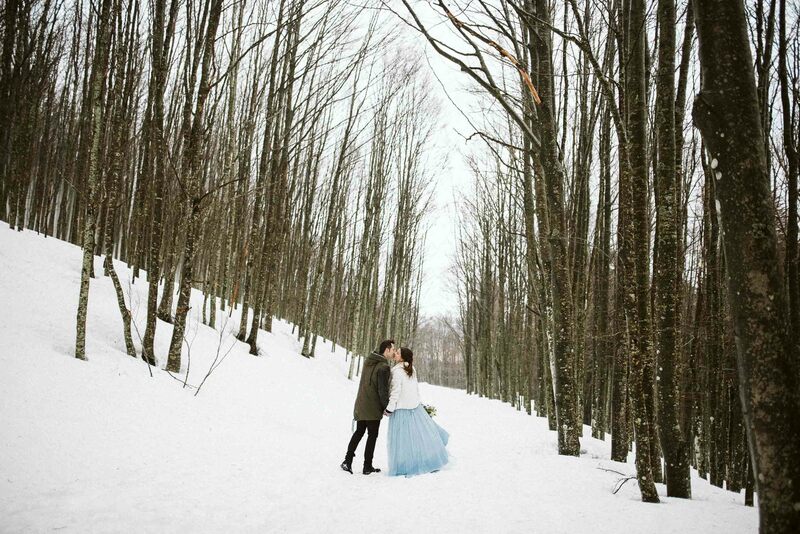 It was special and unusual. 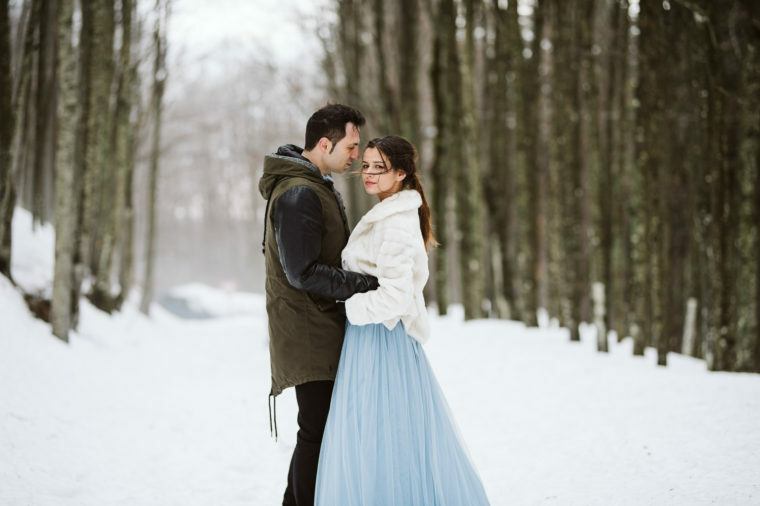 But they had another good reason for their winter engagement photoshoot: they used some of the best photos of this session for their “save the date.” This truly original and romantic idea was really appreciated by their guests! 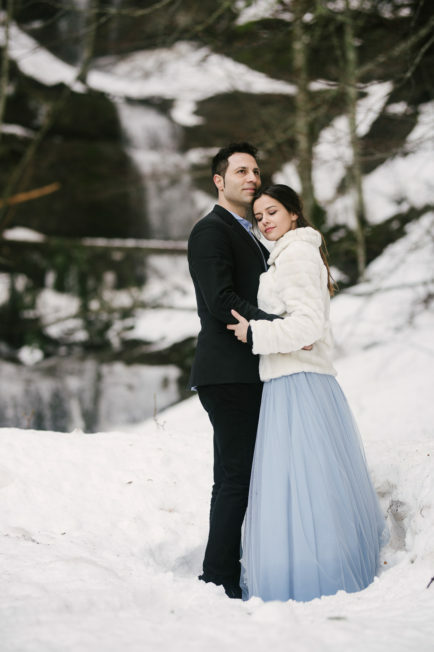 From this winter engagement session, we learned that every season is perfect for photographing love, that winter has its own magic and that a princess in the snow is really enchanting.